Hip hop, the artform, owes its very existence to the deejay. Kool Herc to be precise, the grandmaster who accidentally looped a record during a park jam in the seventies to birth the culture, or so legend would have us believe. From then on, chaos ensued; from Afrika Bambaata’s crates which weighed a ton, to Grandmaster DXT’s future-shock appearance on Herbie Hancock’s “Rockit”, hip hop was gearing up to take the world. Spindle Crew is a collective of Joburg-based deejays, in the tradition of the Cape Town Beat Bangaz, Beat Junkie crew, and many more. They’ll bring their prime selection of beats to the Puma Social Club this Friday. We caught up with this eclectic mix of characters to discuss bits and pieces about deejay culture in South Africa. MAHALA: For those not in the know, who is Spindle Crew and when did the formation happen? SPINDLE CREW: Spindle crew is a DJ collective that was started in 2006/7. It is the brainchild of DJ Hamma and ThaCutt and grew to now feature DJ Soosh, Klinikal, WhiteNite, Nastie Ed and Alvinator. The group is split between Cape Town and Jozi. The initial idea was to be a DJ group/collective that focus on the technical aspects (scratching, trick mixing, juggling, etc) as well as the party rocking side of djing. We wanted to practice and keep the holistic culture of djing alive. 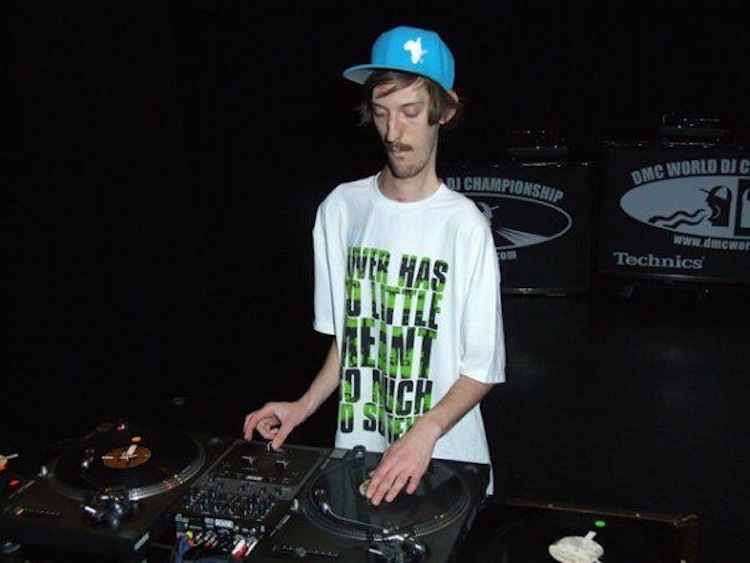 Deejay collectives were quite big in the nineties; the likes of Invisible Scratch Picklez, Beat Junkies, and others achieved a great deal musically through utilising turntables. As far as we’re aware, the impact of deejay collectives has not been as big on the African continent. What factors do you think contributed to this? Like all industries it always boils down to money. If you have a band things can become expensive. You have to fork out more for traveling, accommodation, band fees, gear and maintenance, etc. In hip hop for instance the DJ was the one that used to put the rapper on. Once rap music became popular the labels suggested rappers drop the DJ since his presence and purpose were seen as redundant. Rappers would just go out with their backtracks and that’s about it. There was no need to have the people that make the music on stage or even a DJ to rock the crowd. 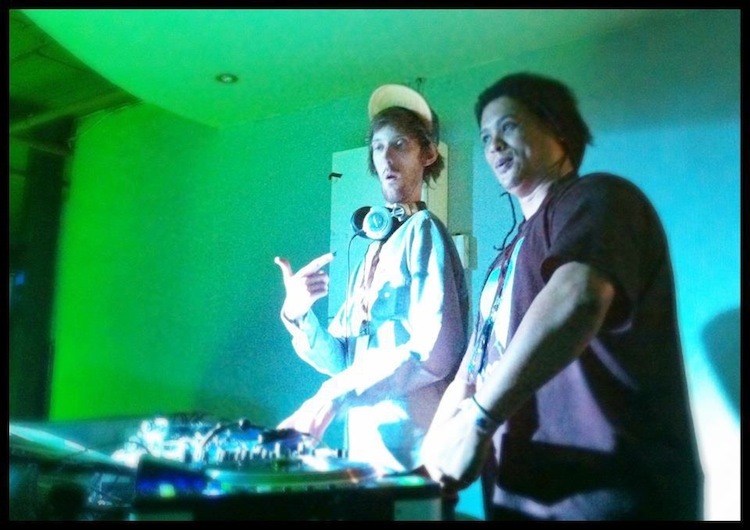 DJ collectives are like live bands with every DJ playing a different role in the collective. To have them all perform together would require more turntables, mixers and space.To some club owners and promoters this is an unwanted hassle since to them it boils down to money. Why have all of them when we can just ask one dude to come through and only pay one guy in stead of four or five… That is kind of how the dj collectives fizzled out… But the real dudes still do it regardless of the industry. 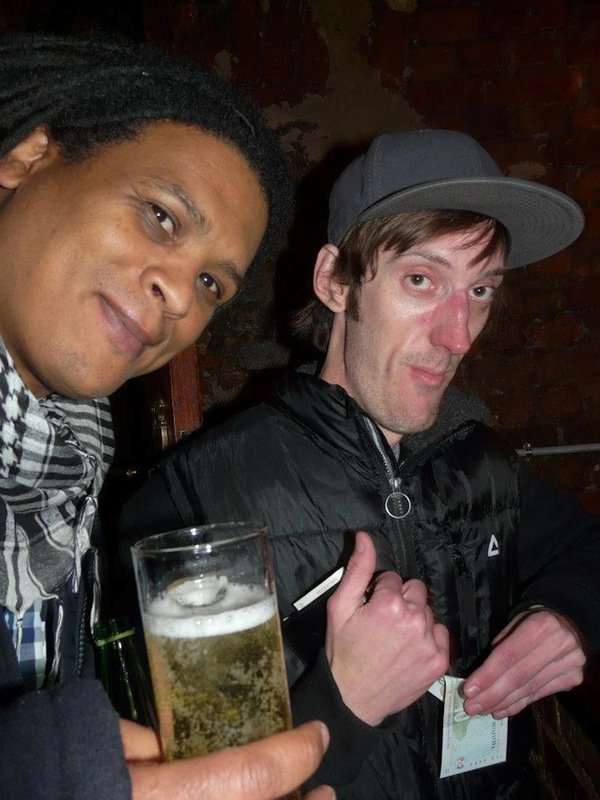 We’ve heard great tales about DJ Hamma’s days as an emcee for Brasse Vannie Kaap. Why did he stop rapping? Hamma: I enjoyed rapping but it was not my calling. I only did it because it was the easiest point of access into the hip hop music game. I wasn’t required to buy anything to get started. Just needed a book and a pen plus my thoughts. I always wanted to be a DJ first but that was too expense for me at the time to get into. Gear is expensive (2 x turntables, a mixer and good speakers plus records= a starter set up) and also the discipline of turntablism requires lots of time, dedication and patience to learn and develop skills that would entertain a crowd sufficiently. Rapping just didn’t do it for me on that level. I still respect it and those that do it really well. Hamma’s been teasing us continuously with songs from his soundcloud page. Will his project ever see the light of day? Hamma: I started making beats to scratch to. I never had intentions of making beats for release until friends asked me if they could rhyme over some of my beats. Four years ago I decided to do a promo project just to showcase some of my production. The project was called CTRL-ALT-DEL. It featured names like Zubz, Tumi, Reason, Amu, RJ Benjamin, Ben Sharpa, EJ Von Lyrik, Hishaam Honzo, and others. I released that project in 2011. Last year I released Dusty Crate Tapes, Volume 1, featuring YoungstaCPT. You can get free copies of the project by hitting me up on my Facebook fan page. I just completed the Dusty Crate Tapes, Volume 2, featuring Zubz the Last Letta. This project will be made available for commercial release. I also completed a promo project featuring the very talented mc/lyricist Hishaam Honzo. This project will be made available for free download as well as give-aways at the Dusty Crate/Spindle Crew events and it is just to give listeners a chance to experience this talent while we working on his official project to be released in 2014. For ThaCutt, what has been the long-term effect of winning the SA leg DMC Championships? What do you think needs to be done for SA to reach the level of competition that exists internationally? Also, what are your views on deejay competitions in general? ThaCutt: The awareness of the brand has definitely improved from winning competitions. It means I feature a lot more on the local party lineups which is great. I think the art of DJing needs to be taken a little more seriously and aspiring deejays should be able to see how to make a living out of it. Once they see that then they’ll practice more, enter competitions more and get better. DJ competitions are a great place for music lovers to congregate and listen to their favourite DJs battle it out. Without competitions, some people would never get to hear you showcase your skills and there would be no reason to strive to be better. All you gentlemen are fairly experienced in the field of deejaying. How would you say the playing field has changed between now and, say, ten years ago? Who mentored each one of you gentlemen? Are there any talents you are currently grooming, transferring skills onto? Is the act of going out crate-digging still upheld in Johannesburg where the crew is based? We are always on the look out for treasures so that part of us will never die. But since times are changing the vinyl format of releasing or buying music is becoming less relevant. What digging spots can people be on the lookout for, and what treasures are they likely to find? Why would anybody share this info. In that regard all DJs are selfish. If you come upon a spot with gems why would you want someone else to go and snub it first? Recently in Cape Town, there were reports about ammendments being made to the liqour law. Subsequently, that affects the hours during which clubs can operate. Are there any events you organised which got hampered by changes in municipal legislation here in Johannesburg? Not really… But just to throw this out there.. We have a big problem with government over reach. We feel the role of government is to protect the constitution and to keep the public safe from all threats be it foreign or domestic. End of story. When it comes our free will and our bodies they should keep to themselves. What we choose to ingest whether it be hard drugs, marijuana or alcohol is our business not theirs. When did personal responsibility become a matter of the state? If you chose to drink then don’t drive. If you do then you deserve to get locked up. “PERSONAL RESPONSIBILITY”…These so called amendments to the liquor law is very reminiscent of the alcohol prohibition era in the USA and we all know what became of that. Why would these municipal idiot push for laws like that? Can each of you gentlemen please name your favourite deejay, and explain why you admire his/her skill? Hamma: DJ Shortcut (ISP, USA). An all round brilliant DJ and performer with skills second to none. He can do it all from turntablism to party rocking. what more can you ask for in a DJ? ThaCutt: DJ Qbert (Thud Rumble, USA) Hamma and I opened for this dude in Johannesburg back in 2008 and it was easy to see why he is called the Jimi Hendrix of the decks. He is forever innovating with new scratch techniques and is also a DMC hall of famer. He has taken the art to a new level with technical ability that has been incorporated with Vestax equipment and that is a game changer. Soosh: It’s very hard to pinpoint who is my favourite as I appreciate a lot of different DJ’s for the different elements they bring to the game. But if I could choose one is would have to be Jazzy Jeff. While he may not be the most technical by today’s standards he was very influential in terms of scratching back in the day and always brings a great sense of musicality and diversity into whatever he does whether it be a mixtape, a live set or his production work. He is all about the music and it truly reflects in his work. Finally, what can people expect during your set this coming Friday at the Puma Social Club? Expectations usually lead to disappointments. What I would rather say is be opened minded and allow the DJs to create that backtrack to this unique experience. We will make sure to keep you thoroughly entertain with a variety of exciting sounds and skills.